Special Counsel Robert Mueller (above). US President Donald Trump is not the only national leader greatly concerned over the Special Counsel’ Robert Mueller’s investigation into Russia’s election interference. Russian Federation President Vladimir Putin is concerned, not over the investigation into collusion and obstruction, but for the considerable damage the investigation has done to Russia’s intelligence efforts in the US. The important matter of interference by Russian Federation intelligence apparatus in the 2016 US Presidential Election and continued interference in the US election system at federal and state levels will continue to have primacy in the minds of all branches of the US government and in the US news media. The investigation of former Federal Bureau of Investigation (FBI) Director Robert Mueller’s Office of Special Counsel into the matter, to the extent that it includes an examination into possible collusion and obstruction by now US President Donald Trump’s presidential campaign and his White House, has been a source aggravation for the national leader. Trump insists that no wrongful activity at all has taken place, and any claims to the contrary are a hoax. However, Trump is not the only national leader greatly concerned over the investigation into Russia’s election interference. Indeed Russian Federation President Vladimir Putin is concerned, less for the investigation into collusion and obstruction, which he certainly would know were valid or not, than for the significant damage the investigation has done to Russia’s intelligence efforts in the US. Russia’s election interference, confirmed and revealed by the US intelligence community and political leaders on the national level. Perhaps the election gambit, a black operation conducted by Russian Federation intelligence, could be curiously viewed as an predictable move by Putin. The history of Putin’s earliest dabblings politics indicate that he finds election meddling to be an anathema. It is likely in part for this reason that he saw it as the best weapon to use against the US as its government was being led by then US President Barack Obama, an individual that he unquestionably despised. However, the Kremlin has officially and vehemently denied any interference in the US elections. Officials, such as Russian Federation Foreign Minister Sergei Lavrov and Presidential Press Secretary Dmitri Peskov, have gone as far as to say that the insistence from various US sources that the meddling took place is a manifestation of some mild form of hysteria or paranoia. The election interference story has been kept in the eye of the US public due to a strong, steady drum beat of reports about it in the US news media. To Trump’s dismay, what has been publicly broadcast, printed, and posted about Trump has primarily sought to prove his alleged collaboration with Russian efforts. Indeed, there have been unprecedented explosions of chaotic hatred and bitterness in the daily discourse on Trump. Some critics and detractors not only allege, but go as far as to insist, that within the tangled mess of Russian interference, evidence exists that supports a prima facie case of collusion and obstruction by Trump. However, investigators have not given any hints that they believe evidence available serves as indicia of a crime committed by the US president. The machine of unfettered media commentary has sucked anyone close enough into its vortex. Most recently, the ire of those dissatisfied with Trump, has turned on Deputy Attorney General, Rod Rosenstein. Rosenstein, once a darling of Trump critics and detractors, was celebrated for, among other things, his appointment of a Special Counsel to investigate Russian election interference while he served as Acting Attorney General, his steadfast support of the work of the Office of Special Counsel, his refusal to terminate Mueller, and his insistence that he would remain and act impartially regarding the Mueller’s investigation in accord with Federal law. Then, surprisingly, extraordinary anti-Trump statements were attributed to him in the US news media. According to a September 21, 2018 New York Times article, Rosenstein suggested that he should secretly wear a device to record Trump in meetings to expose chaos in the White House. He is alleged to have contemplated asking members of the executive branch, Cabinet members, to be available to help invoke the 25th Amendment of the US Constitution to remove Trump from office. What is seen and understood by the US public is what is available. Except for reports from the administration itself, much of what is reported in print, on the air, and online is essentially the same. Nevertheless, there can be a resulting sense of separation from the what is happening in Washington, what the administration is doing. Polemic commentaries have found flaw and have thrown suspicion at the smallest efforts to the greatest efforts of the Trump campaign and sully the efforts, and damn the mere existence, of his administration. Positing views, opinions, judgments is not a wrong. Rather, in the US, free thinking is a right. Critics and detractors still get to say what they want to say, and Trump has been pounded harder by them than the German 7th Army and 5th Panzer Army in the Falaise Pocket in France during World War II. However, to use the platform of the news media to promote a singular view of the administration’s foreign policy is wrong. Opinion should never substitute for impartial, balanced reporting of the news, coloring what the the public reads, hears, and sees. It would seem that creating an incomplete impression of what Trump and his administration are doing on behalf of the people speaks to a negative quality of one’s heart. Mueller was appointed Special Counsel to Investigate Russian Interference with the 2016 Presidential Election and Related Matters on May 17, 2017. For those who rejected Trump, Mueller became an instant hero. He was portrayed as a manly, dashing, and audacious guardian who wore a cloak of good deeds. It has been the hope of Trump’s critics and detractors that investigators and analysts are passionately moving methodically winding through some tortuous route that will land them on Trump’s doorstep. Mueller has a team of 17 lawyers. In just under a year, his investigation has cost just under $16.7 million. From the start, Mueller was not interested in little pokes at the Trump administration. Every bite has had a lot of venom in it. Concerning Trump, himself, the Office of the Special Counsel had been happily bobbing through everything, looking for something that could potentially make itself available for wider exploitation. It is stuff for the investigators and analysts that compose that office to engage in such work. There is hardly reason for Trump to apportion blame to himself for the completely independent actions of associates who were supposedly advising Trump and had committed their questionable actions on their own volition, to a greater extent long before joining the Trump campaign. Trump has hired a number of attorneys who have come and gone, each having ample opportunity to get their boots dirty in the mire created by the rather peculiar investigation. Those attorneys currently working with Trump, and those who have moved on, agree that there is nothing that would indicate Trump conspired with any Russian officials or otherwise to interfere with 2016 US Presidential Election and he has done nothing to obstruct the investigation at any point. They uniformly insist that all answers that Mueller might have about collusion or interference can be found in the interviews that his investigators have conducted with witnesses, including senior White House aides and Trump administration officials. They further state that the truth can be found in the more than 1.4 million documents turned over to the Office of Special Counsel by the White House. On dit, to the satisfaction of the Trump administration, there may now be hope that those investigators and analysts are getting wise to the nature of the misadventure they have undertaken with regard to the “Trump Front.” The final report of the Office of Special Counsel may eventually indicate that Trump was never enmeshed in the coils of anything wrongful, illegal, unpatriotic. Unfortunately he has had to suffer through the process of disproving a negative, a disgrace manufactured by his adversaries. True, unless one is deeply involved in the work of the Office of Special Counsel, it is really impossible to know exactly what is genuinely being done within. Even Trump’s chief advisers, way above in the rarified air, have undoubtedly been left in the dark about what is happening. As they do not mix too much with the professionals, they are unlikely privy even to leaks or rumors about the investigation spoken within the rank and file of their organizations. Of the few authentic facts that have been revealed about the work of Mueller’s office is the degree of dissatisfaction that has come from chasing leads specifically concerning Trump that were actually concocted for the purposes of political rivals within the US, with the goal to discredit the Trump presidential campaign. Beyond the impact that the discovery of many new found truths on the attitudes, behavior, and purpose of actions by some in the US intelligence industry upon Mueller’s investigation, there have been terminations, redeployments, and decisions made by senior personnel not to remain in their respective services. A particularly high level of activity of this sort has been observed in the FBI. Make no mistake, Mueller’s investigation of the Trump campaign and the White House is a big deal, nit only for the administration, but the US and the world. Yet, looking at some additional authentic facts about the work of the Office of Special Counsel made public, it seems that Mueller on the balance, may be less concerned with Trump than his erstwhile adversaries in the Russian Federation’s intelligence apparatus. The Glavnoye Razvedyvatel’noye Upravleniye Generalnovo Shtaba (Main Intelligence Directorate of the General Staff-Military Intelligence) or GRU; the Sluzhba Vneshney Razvedki (Foreign Intelligence Service) or SVR; and, the Federal’naya Sluzhba Bezopasnosti Rossiyskoy Federatsi (Russian Federation Federal Security Service) or FSB, represent an unmistakable threat to the US. Much as many observers in the US note that Putin’s decisions and actions are likely influenced by his prior work in the intelligence industry, Mueller, too, may draw from his prior practice of hunting down Russian intelligence operatives in the US. Pardon greatcharlie’s freedom, but Mueller may have the intent to complete unfinished business in defeating their known capabilities to harm the US. All of this runs contrary to what big stories in the US news media contend about Mueller’s singular aim to bring down the US President. Note that Included on the list of those charged by Mueller’s office are thirteen Russian nationals and three Russia related companies for conspiracy to defraud the US and conspiracy to commit bank fraud and identity theft. Konstantin Kilimnik, a Russian Federation Army trained linguist and associate of Paul Manafort, has been charged with obstruction of justice. Additionally, twelve Russian Federation intelligence officers of the Glavnoye Razvedyvatel’noye Upravleniye Generalnovo Shtaba (Main Intelligence Directorate of the General Staff-Military Intelligence) or GRU, have been charged with conspiracy to commit an offense against the US, identity theft, conspiracy to launder money. Mueller, the former FBI Director, knows that by putting focus on a “miracle operation” as the election interference in the US, which amounted to a direct act of provocation, he has placed great pressure on the GRU, SVR, and FSB operatives in the US as well as those acting against US interests inside Russia or in other overseas locations. Many of their bread and butter operations on the ground in the US were likely knocked out or toned down in the attempt to evade the prying eyes of Mueller’s office and any other entities on the prowl. Assuredly, Russian intelligence officers working on any portfolio even remotely connected with operations against the US, the number one target of Russian intelligence, are among the best of the best available. Every time such individuals are identified and neutralized, a devastating blow is leveled against Russia’s intelligence industry. Kleig lights have been figuratively directed at some very shadowy intelligence leaders. They were stripped of their anonymity before the whole world via indictments. Mueller still has an opportunity to do more damage to Russian intelligence efforts in the US and strike in depth against the Russian intelligence apparatus. He is doing everything possible to exploit the Kremlin’s calamitous lack of moderation. The full reach of Mueller suspicions against Russian intelligence have not been made known. This subject is rarely broached in the news media. Perhaps many reporters have missed or have been unable to synthesise what has been occurring. That is curious, because in relative proportion, Mueller’s efforts against Russian intelligence have been far more devastating than what he truly accomplished against former members of the Trump campaign. It is not all good news though. To the extent the something positive in defense of the US has been done, Mueller’s efforts can be appreciated in all political and foreign policy circles in Washington. Yet, the damage to the US psyche, the psychological damage to members of the administration, and blemish his effort placed on the Trump presidency has also been substantial. Not that he considers the mostly freewheeling US news media as a useful overt source of intelligence, but Putin perhaps finds it a bit disconcerting that despite all of the chatter in the US news media about the Trump presidency marked for death as Mueller’s office is hot on his trail, it is his intelligence services are actually under far greater pursuit by the Office of Special Counsel. In news media interviews about the Mueller investigation, Putin has sought to subtly discredit the work of Mueller’s office by characterizing it as both illegal and illegitimate. When asked his opinion of what was going on with the Office of Special Counsel by Chris Wallace of Fox News just one day before the Helsinki Summit, Putin was clearly ready to speak. At first, he slyly expressed disinterest in what he described as an “operation.” However, he then explained that Mueller’s investigation simply amounted to internal political games of “dirty methods and political rivalry” in the US and that a nefarious effort was underway to make the US-Russian relations hostage to it. He then expressed the erroneous belief that the US Congress had appointed Mueller and not then Acting Attorney General Rosenstein. He would further incorrectly state: “It is for Congress that appointed him to do this, to assess his performance.” He then expressed the idea that a US court had declared the Mueller appointment as outside due process and an infringement on legislation. While Putin’s view has no bearing on how Mueller will proceed, he undoubtedly hopes that something might be done to defeat it before more damage is done to Russia’s intelligence operations in the US. 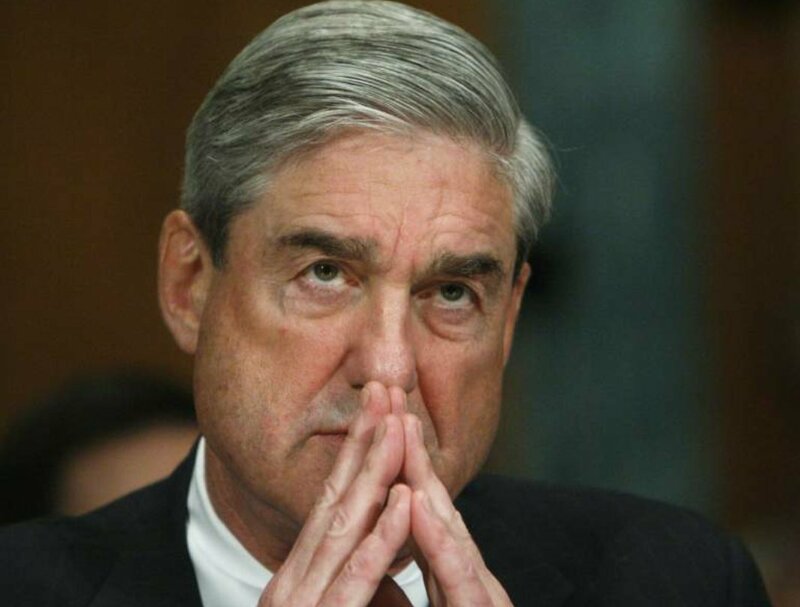 Mueller’s efforts come on top of damage being done through the counterintelligence efforts of the FBI, as well as the Central Intelligence Agency (CIA), National Security Agency (NSA), Cyber Command, the Defense Intelligence Agency (DIA), the Department of Homeland Security (DHS) and others. Their work against Russia surely intensified once its election interference was detected. When assigned the opera Nabucco, Giuseppe Verdi, who was grieving from a set of very grave personal tragedies, felt impelled to compose its music after reading the sorrowful, haunting, and beautiful words of the “Chorus of the Hebrew Slaves”: “Va, pensiero, sull’ali, dorate. (Fly, thought, on golden wings. )” The text expresses a people’s longing to return to a home that they know has been destroyed and pain that thinking of it caused. The longing of critics and detractors, beyond those who do not like Trump for personal, irrational, or other reasons, for a return to the type of presidency that they knew under Obama or a world in which Democratic presidential candidate Hillary Clinton won the 2016 election, consciously or unconsciously, colors their perspectives of Trump and his administration. For the most part, in the US news media, the apparent desire to return to the past or have different president in place, distorts reporting on the Mueller investigation. It has done so to the point that effective, balanced reporting of events has become atypical. Thoughts that blind critics and detractors to reality must be allowed to “fly away on golden wings.” If the case were different, the US public, rather than viewing Mueller’s investigation as an attack on Trump, would recognize that a good portion of the Office of Special Counsel’s efforts have envenomed the soil in which the Russian intelligence might of hoped to plant future operations, or resurrect old ones, in the US. Such work by Mueller’s team could be said to amount to defacto retribution for Russia’s election meddling. As stated earlier, Trump has good reason to be concerned for he would prefer not to have anything depict his administration in a bad light. That concern certainly goes beyond some ostensible vain interest over his legacy. Much more still will be heard from him, his legal team, and administration surrogates. In the end, to the considerable chagrin of many, final judgments on the matter will most likely be found in his favor.